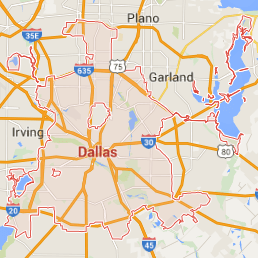 When your home in Quinlan is in need of a fresh start after a flood causes a lot of trouble for you, 911 Restoration Dallas is here to offer you professional assistance. Our water damage Quinlan specialists are trained and equipped to able to handle a various water-caused emergencies which include sewage backups, storm damage, flooding, or pipe bursts. Through the restorations we can provide, you can expect your home to look good as new! Our team works with your complete satisfaction in mind. We want to make sure your home gets back to being safe, comfortable, and free from any lingering effects of water damage. When one of the pipes leak or burst, trust that water damage Quinlan pros can respond to your concerns as soon as possible. Our team can be there within 45 minutes of your call so we can take on water damage before it causes any further complications like mold growth or wood rot. No matter when the issue occurs, you can count on that quick response any time. We’re available 24/7/365 to take on water emergencies on the day you need them patched up! We have nearly four decades worth of experience in dealing with all kinds of bursts and floods. Our water damage Quinlan team has undergone rigorous training in order to provide only the highest quality of restorations. Our IICRC certified specialists are trained to use the latest drying equipment and technology to be able to extract water and moisture out of your home effectively. With our training and equipment, you can count on 911 Restoration to take care of those floods for you! One of the ways that water damage can come into your home is through a sewage backup. Toilet overflows are typically caused by clogging or by excess pressure buildup within the city’s sewer system. When that pressure finally needs to be released, sewage can climb up into your home through a toilet. When this kind of water emergency occurs, it’s best that you call the water damage Quinlan pros from 911 Restoration to take care of it right away. Sewage can cause a lot of harm to your home and to your health because of the filth and biological contaminants it carries. Our water damage Quinlan specialists have the proper equipment to be able to restore your home and prevent the spread of disease. Our team will be wearing protective hazmat suits to protect us while we work. 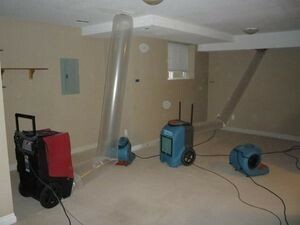 Our advanced equipment will extract sewage out of your home and remove moisture. We will also work to repair any damage done to your home’s plumbing system. Once the area has been cleared, we can begin the decontamination process. We will use industrial strength cleaning solutions that will thoroughly cleanse your home and remove foul odor without causing further damage to floors, walls, or textiles. 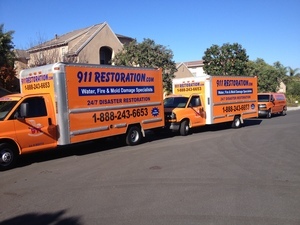 When a major disaster like a pipe burst or sewage backup occurs at home, trust the water damage Quinlan pros from 911 Restoration will be ready to take on your concerns and restore your home so you can get a fresh start. Give us a call today!